Neenah, WI - Tracy Clingingsmith, Safety Manager for Alamo Group in Seguin, Texas, has been named the 2018 Safety Professional of the Year (SPOTY) by J. J. Keller & Associates, Inc. 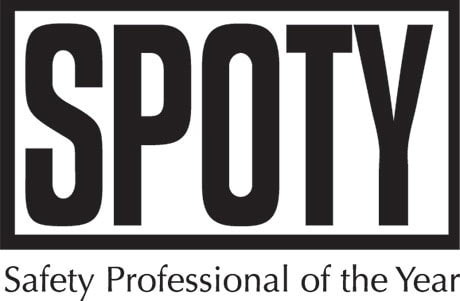 The SPOTY Awards recognize industry professionals who lead unique and effective approaches to their safety programs. When Clingingsmith started as Safety Manager at Alamo Group in Texas, she changed the culture of how all employees, from the top down, thought about safety. David Swanson, Senior Director of Safety and Mission Assurance at Orbital ATK in Dulles, Virginia, earned the second-place SPOTY award from J. J. Keller. Three years ago, Swanson was challenged with a merger that grew his team and his span of concern from four to nine manufacturing sites across the United States and doubled their average Total Recordable Incident Rate (TRR) overnight. At the end of 2017, Swanson had lead the group’s performance to lower their TRR to .3, well below their industry average. H. Demetrius Rumph, Director of Safety & Risk Management at the City of Columbia in Columbia, South Carolina, received the third-place SPOTY award. A 20-year veteran in the safety field, Rumph chose safety as a career to impact people’s work environment and quality of life. His efforts at the City of Columbia to engage employees in the safety process have drastically reduced Workers’ Compensation costs, a main safety objective for 2018. Clingingsmith will receive the SPOTY Award, and Swanson and Rumph will be recognized verbally, during a ceremony at the J. J. Keller Corporate Campus in Neenah, Wisconsin, in October. Each winner will receive a cash prize, plaque, certificate and complimentary KellerOnline subscription. Since 2002, the J. J. Keller SPOTY award program has recognized safety professionals, awarding over $200,000 in cash and prizes through the program. Safety professionals rely on J. J. Keller’s in-house expertise and wide selection of products and services to reduce risk and improve regulatory compliance, performance management, and operational efficiency. For more information, visit www.jjkeller.com.